Deborah Gordon Designs of San Diego has won “Best Of Design" and "Best of Customer Service” 2018 on Houzz for a living room project completed for a San Diego client. You’ve been thinking about updating or renovating your kitchen for a while. But where do you begin? And how do you budget for kitchen remodeling? Priorities, the scope of work & deciding how much you want to spend are key to making wise decisions. When it comes to remodeling a historic home, interior designers must give careful consideration to keeping the original charm of the home and at the same time, to giving the homeowner the updated amenities and fixtures that they desire. Your home décor style signifies is a distinctive appearance, typically determined by the principles according to which something is designed. Learn more about the main home décor styles and determine what elements will work for you. If you are planning to update your home, you have probably pondered whether to hire an interior designer. If that is the case, you have weighed the pros and cons of making that decision. So, why should you consider hiring a professional?? 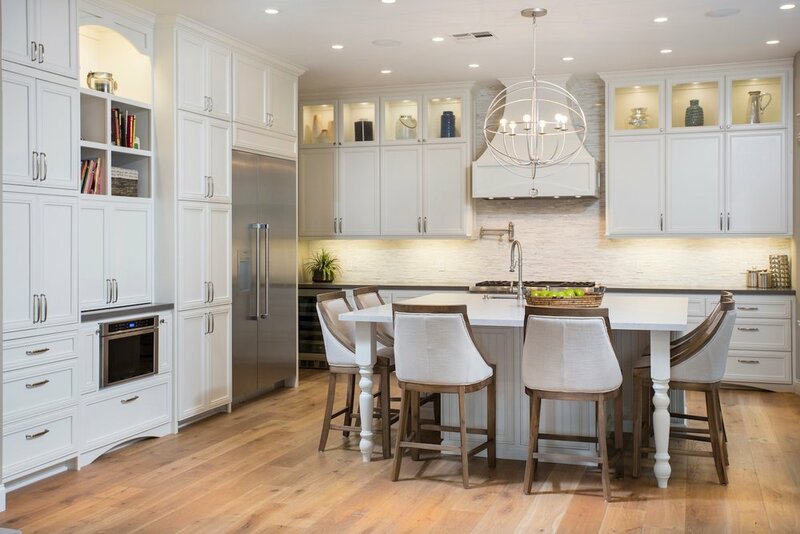 Questions regarding whether to buy a new home or remodel is one of the most common questions posed to an interior designer. There are pros and cons to each option, so spending the time to carefully weigh all your options is important. What Is An Interior Designer? And What Do They Do? What is an Interior Designer? What education should they have? What process do they use? Is an interior designer the same as an interior decorator? Why am I proud to be a San Diego interior designer? These questions are tackled in this educational post. As you'd guess, communication with your interior designer will be important, but there are two things that you shouldn't be telling your interior designer. Read this educational article and learn more about avoiding these topics. See how I was able to transform an ordinary room into a family-friendly game room inspired by the family's love of the outdoors. The project included taking unusable space and transforming it into a functional multi-purpose room. Deborah Gordon Designs has won the Best of Houzz 2017 award for Customer Service. Houzz awards this badge to designers for their commitment to excellence and to help homeowners identify top-rated interior designers.